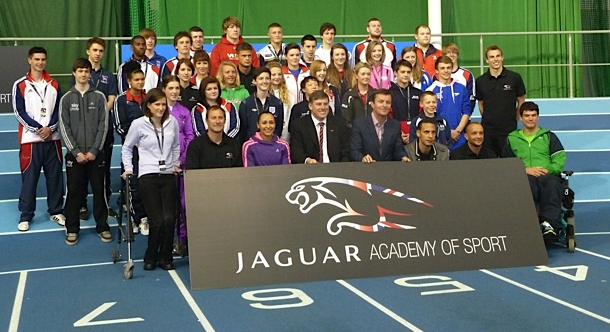 As part of receiving a years sponsorship from Jaguar Hamish, GB & City of Birmingham, attended the Jaguar Academy of Sport celebration event in Sheffield at the English Institute of Sport. This was the first of many inspirational experiences open to Hamish from now on. 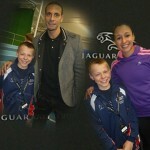 He was able to meet, talk, and be pictured with ambassadors of sport such as England & Manchester United defender Rio Ferdinand; former world championship gold and silver medallist and 2012 Olympic Hopeful, heptathlete, Jessica Ennis. Hamish’s name now famously goes on the Jaguar Academy of Sports Honours board forever; let’s hope that his further sporting achievements to come will bring him back as an ambassador, in future years, to help inspire other up and coming world-class athletes. 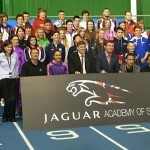 A day to remember and a year to look forward to; the Jaguar Academy of Sport welcomed the class of 2012.